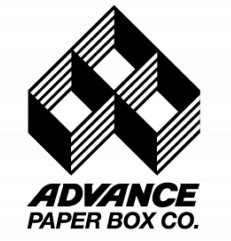 At Advance Paper Box Company, we are dedicated to the mission of improving environmental sustainability within our community, our products, and our operations. As of December 1st, 2011, we are a CarbonNeutral company. Please take a moment to check out our press release on this page. 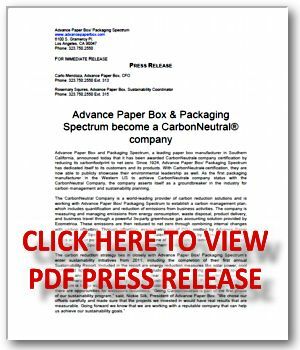 Since 2009 we have offered FSC® and SFI® certified paperboard. These international certifications illustrate our voluntary move to recycled fibers and support of responsible forestry. The Los Angeles Department of Water and Power awarded Advance Paper Box a plaque in recognition of our carbon emissions reductions, which included our most recent commitment to carbon neutrality. Our commitments to energy efficiency and green building practices are featured in a video produced by Los Angeles Mayor Antonio Villaraigosa’s office.